FBI Agent A.X.L. Pendergast is back in action; his classic ultra expensive black suit, austere expression, white skin and lighter than light hair, expensive taste, and genteel manners; do not mistake him for a sissy, to do so would be a mistake of enormous portions. If you have never read the Pendergast series you have missed an extreme treat. This book can be read as a stand-alone, however you will receive more enjoyment by starting at the beginning of the series. 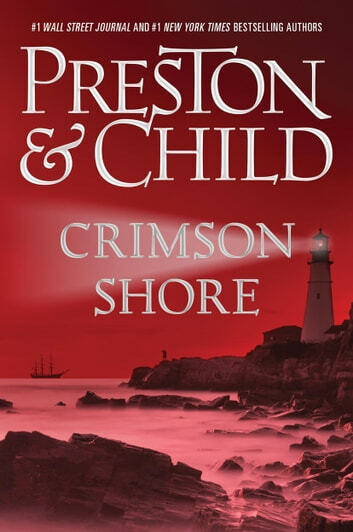 I have never been disappointed in Child and Preston’s Pendergast series and this book is no exception. Preston and Child crafted a seasoned agent with instincts and brain that are superior to the normal human and place him in situations to use his skills. I would compare him to Colombo, of the 1970’s television show, times 10 without the awkwardness and un-sophistication. Pendergast like Colombo’s brain operates differently than the rest of the world. Pendergast takes a wine theft case in the small Massachusetts town of Exmouth when he discovers the owner Percival Lake also a semi-famous sculptor, has a case of a wine thought to be extinct. All is not what it seems as Pendergast, along with his protege Constance Green, begins his investigation in his own unique style. A hidden room, chains, an old human bone, ah murder is afoot. A historian is murdered in the marshes and he is not the last murdered there, what was the historian hoping to find, a ship is lost in 1884 off Exmouth, what is Percival Lake’s part in all this, and witches reportedly left Salem for Exmouth during the Salem Witch Trials; lots of twists and turns for Lincoln and Child to bring together. We have come to expect the unexpected from Childs and Preston as Pendergast investigates monsters, monsters of the worst kind and you can be assured that monsters are residing in the small town of Exmouth, Massachusetts. 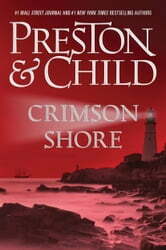 Get ready for a thrill ride, as Preston and Child never fail to meet expectations. The action never lets up as the twists and turns of the investigation are meshed to create a cohesive tale of evil, extreme evil. As usual the ending is explosive, and leaves us knowing another tale will be in works. I highly recommend this book. I received this book from the Publisher and Netgalley in return for an honest review. Great read as usual for Team Preston/Child. Pendergast is still at the top of his game. Analytical deducting at it's best. I was not disappointed in this action packed read with it's usual twist and turns. Now what is the answer? - (spoiler alert) is Pedergast dead or alive? Opens up new questions for the next book in the series. I can hardly wait. Great story. Suspenseful , intriguing. Pendergast is such a great character . the ending makes you want more ! Worth reading especially if you're a fan of the Pendergast series. I especially like the twist at the end. Well recommended. These two guys both write amazing stories, rich with description and twists. When they write together, the result is simply magic. Thank you both for giving me so many hours of enjoyment.